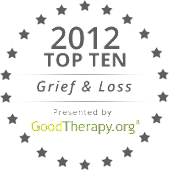 The holidays are a difficult time for those who grieve. Even under normal circumstances, we feel obligated to be happy, to enjoy ourselves, to crave the company of others. But for those who have suffered the loss of a friend, it’s tough to get in the holiday spirit. We often hear that this time of year is for family. I think we all agree that we like to reconnect with friends, as well. I look forward to seeing friends from high school – often the only time all year we can sit together in one place and catch up on our lives. Next year we’ll have a reunion, but since we lost a classmate on 9/11, we don’t wait around for the next formal gathering. We no longer say “we should get together more often”. We do it. A couple of my friends have faced serious health issues this year. Even though none of the situations turned out to be life-threatening, each one reminded me that none of us will live forever. I’ve found myself being more assertive about making plans to get together with friends I haven’t seen in a long time – years, even decades. Those friendships have felt more intense this year. Maybe it’s our age. But there’s certainly a need to connect. A friend of mine died in January. He was 89 and frail, so it wasn’t unexpected. I assumed I’d blog about him soon after. But I couldn’t. I tried, but I couldn’t. So now it’s ten months later – where did the year go? – and I still haven’t written about him. It’s not that I forgot. Like my friend Delle, there are times I feel his presence, hear his voice. Things pop up that remind me of him. He doesn’t feel all that far away. So next week, after I’m done with my World AIDS Day event in Chicago, I’m going to sit down and write about him. He taught me a lot during his last year that I’m still processing, so maybe this will help. As you prepare to travel over-the-river-and-through-the-woods to celebrate Thanksgiving with your families, I hope you carve out (sorry, couldn’t resist that) some time for your friends as well – the ones who are here and the ones who are gone. Give thanks for the friends in your life who made you who you are today. If they’re still here, tell them how much they mean to you. And if they’re not, tell them, too.